On the final day for Gov. Jerry Brown to sign or veto bills passed by the state Legislature, he has given his stamp of approval to a bill that will require corporations based in California to have women on their board of directors. SB 826 will force publicly held companies based in California to have at least one woman on their boards of directors by the end of next year. 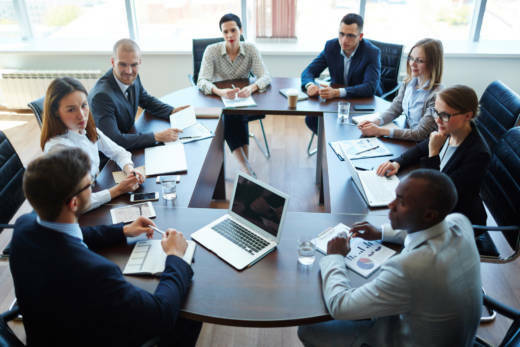 By the end of 2021, companies with boards of five directors must have at least two women, and companies with six-member boards must have at least three women. Firms failing to comply would face a fine of $100,000 for a first violation and a $300,000 fine for any subsequent violations. The bill has raised significant opposition and legal questions, with critics saying it would require discrimination against men and may even be unconstitutional. Brown noted those concerns in a rare signing message attached to the bill, in which he wrote that the bill has "potential flaws that indeed may prove fatal to its ultimate implementation. Nevertheless, recent events in Washington D.C.--and beyond--make it crystal clear that many are not getting the message." The message seems likely to be in response to the confirmation hearings of Judge Brett Kavanaugh, which have furthered the nationwide conversation on sexual assault after Dr. Christine Blasey Ford, a Bay Area professor, testified that Kavanaugh sexually assaulted her when they were in high school. The U.S. Senate Judiciary Committee, which voted on Friday to send Kavanaugh's nomination to the full Senate, was copied on the message. Jackson also authored a 2013 resolution urging all companies based in California to include women on their boards by the end of 2016. But according to Jackson, fewer than 20 percent of companies met that goal. A recent analysis showed that more than one-quarter of California companies had no women on their boards. The same analysis showed the Bay Area to have the highest percentage of female directors when compared to the Central Valley and Southern California. The signing was announced by the governor's office along with dozens of other bills connected to women, children and families, including several bills directed at curbing sexual harassment and discrimination in the workplace like SB 820, which bans confidentiality agreements and secret settlements in cases involving sexual harassment or discrimination.